California Legislative Action Committee (CLAC) Chair Pamela Voit has issued the following statement on AB 1360, authored by former Assemblymember and newly elected Senator Norma Torres, and co-authored by Assemblymember Richard Gordon, sponsored by the Community Association Institute’s California Legislative Action Committee (CAI-CLAC). “We have decided to conduct further research into electronic balloting procedures and safeguards before proceeding with the bill’s current version. 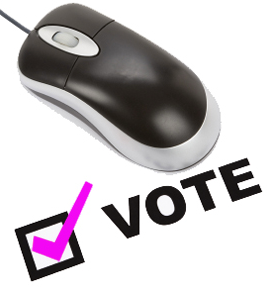 Between now and the end of this year, we will be reaching out to Internet voting companies, other states and organizations to compare differences in approach and systems, determine best practices and discern variances, successes and failures in Internet voting in order to devise the best possible statutory language. “Currently, common interest development association elections are subject to specific procedures, which are more restrictive than other non-profit corporations. In 2006, SB 1560 passed and although it was designed to improve the way elections were performed, it also dramatically increased costs, as the election process must be now be repeated until a quorum is achieved. This forces associations to spend thousands of dollars each year to conduct elections, which could instead be used to help maintain properties and serve the interests of community members. “Our efforts to date have spotlighted the needed, next generation in community association voting. Having the option of Electronic balloting will greatly benefit 45,000 common interest development associations in California in terms of greater voter participation, efficiency, cost reduction and more accurate vote tabulation. We previously posted information regarding AB 1360; follow this link. Need help with election issues? SwedelsonGottlieb has been providing practical advice and counsel to California community associations for more then 25 years. For more information about the firm, follow this link.